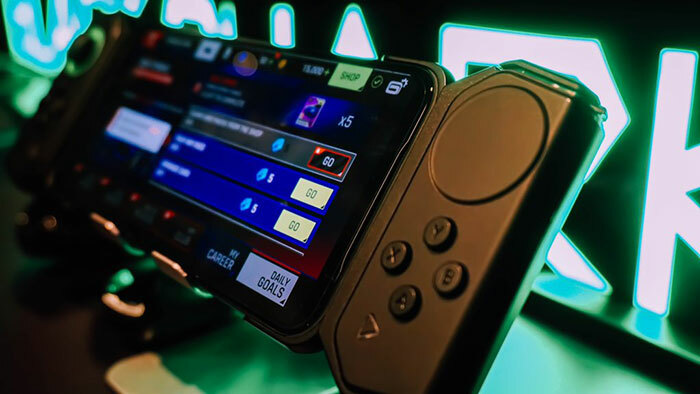 The Black Shark 2 gaming smartphone has been released in the UK. Two versions of the phone, differing in RAM and storage config are available to customers across Europe. Meanwhile they both have some impressive key specifications in common such as; a 6.39-inch AMOLED display, a Qualcomm SD 855 processor, dual-SIM connectivity, and 'liquid cooling'. In an email to HEXUS, Black Shark (part of Xiaomi) said that the Black Shark 2 offers "an unmatched gaming experience". Indeed, it has some impressive specs and thoughtful design choices made to provide a batter gaming experience. Black Shark has chosen a notch-less 6.39-inch AMOLED HDR display to build its latest gaming phone around. The screen is said to be designed for reduced screen flicker at low brightness, improved colour accuracy and minimal touch latency - actually "the world's lowest latency touch" is claimed. As well as the usual capacitive touch the screen features pressure sensitivity allowing for deeper contextual actions. There is an in-display fingerprint scanner for biometric security. Lastly the 2340x1080 screen features Corning Gorilla Glass 6 protection. Inside the phone you will find a Snapdragon 855 processor with Adreno 640 GPU. Many flagship smartphones come packing this SoC but to make the most of it Black Shark has integrated a Mille-Feuille Full Area Liquid Cooling System. This cooling system has an oversized cooling plate, covering all major components and has multi-layer direct touch liquid cooler channels. Black Shark claims its cooler reduces core temperatures by 14 degrees and can increase your maximum frame run time by 800 per cent. 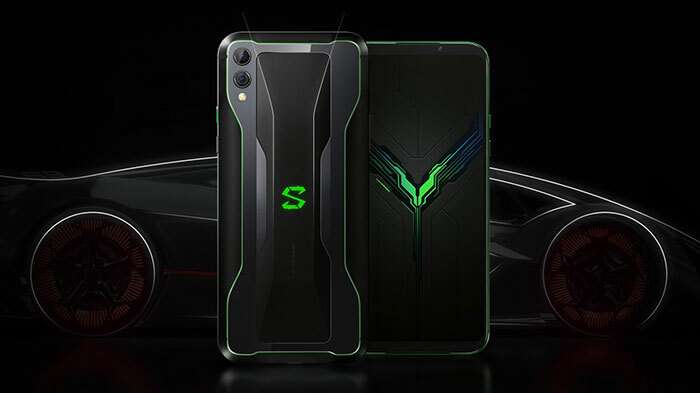 Other key specs of the Black Shark 2 that could help reel you in are the cameras; dual rear cameras offering 48MP wide, and 12MP telephoto lenses, plus a selfie cam with 10MP on the front. The battery capacity is a decent 4000mAh. The Black Shark 2 comes as standard in dual-Nano-SIM configuration. Its X24 modem supports 3xCA, 2xCA, 4x4 MIMO, FDD LTE, TDD LTE. 802.11a/b/g/n/ac dual-band Wi-Fi, Bluetooth 5.0, and NFC are present. There are a typical set of positioning and sensor components. Black Shark has just a single USB Type-C double-side charging interface but it supports QC 3.0. You have to use this same port and an adaptor for 3.5mm audio. On the topic of audio, Black Shark says its new smartphone features dual-front facing speakers that are a quarter bigger than 'standard'. The beefy sound helps with immersion, as do the powerful haptic motors, and 'Gaming Light' dual RGB LED strips. Depending upon your choice / budget, there are two models available in the UK. One comes with 8GB RAM/128GB Storage for £479, and the other 12GB RAM/246GB Storage for £559. 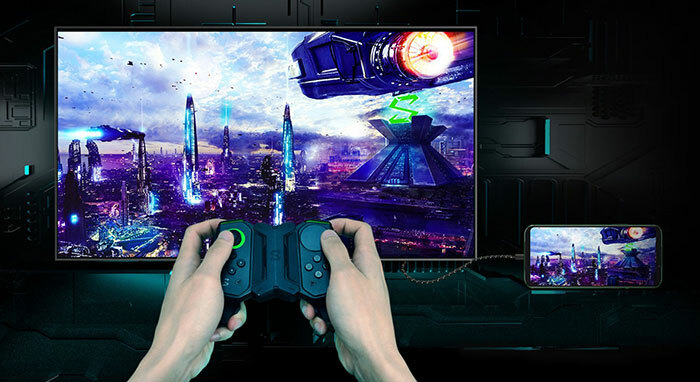 That's LPDDR4X RAM and UFS 2.1 NAND flash storage.The Black Shark gamepad is an extra than enhances the gaming fun when your phone is attached to a big screen. I mean, for the hardware you get, that is a serious phone for £559. You could carry that with Android Pies desktop interface and it would chew up tasks quite happily. The specs are actually fairly decent. One thing not mentioned is the ROM's compatibility with controllers over bluetooth which can vary between devices and would be important for something aimed at gamers. I wonder if it's stock Android, or comes with a ton of bloatware shenanigans?